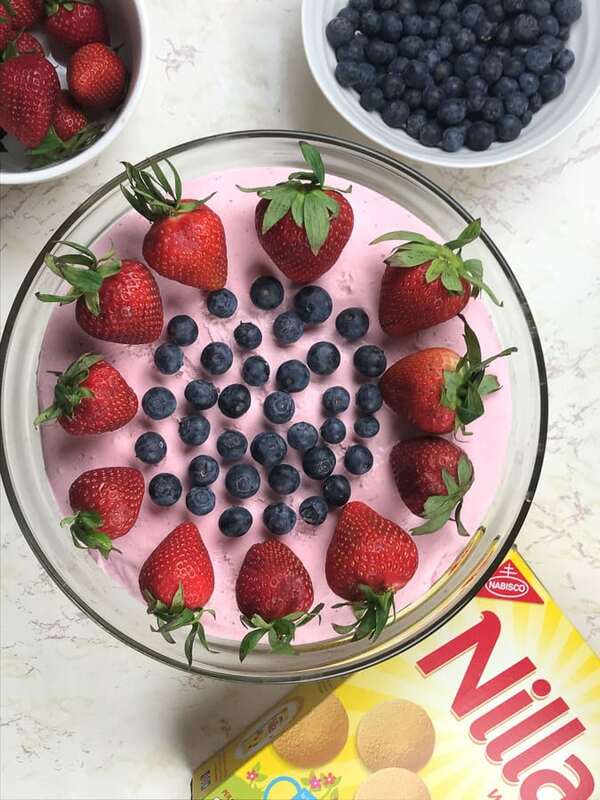 This no-bake strawberry cheesecake post was sponsored by Nabisco as part of an Influencer Activation for Influence Central and all opinions expressed in my post are my own. Make a delicious no-bake strawberry cheesecake with just a few fresh ingredients and be ready for your next backyard BBQ or Sunday dinner. This no-bake cheesecake recipe is made with cream cheese, fresh strawberries, and heavy whipping cream. It truly is an easy dessert recipe you can go back to again and again. I made this recipe with Memorial Day in mind. After it finished chilling in the fridge, I decorated it with strawberries and blueberries, to give it a patriotic feel. 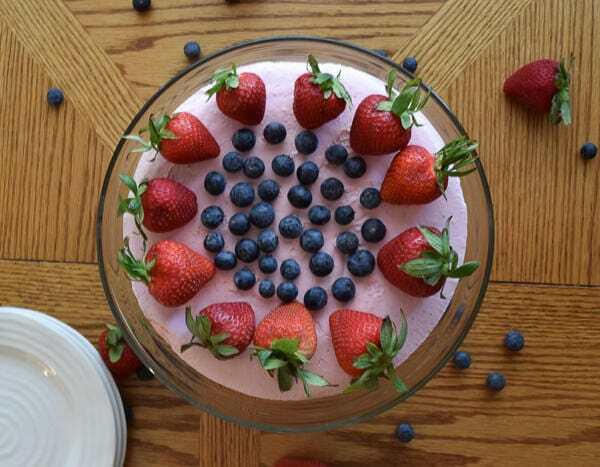 I think patriotic no-bake desserts are so much fun! They get me excited about celebrating our great country with friends and family. 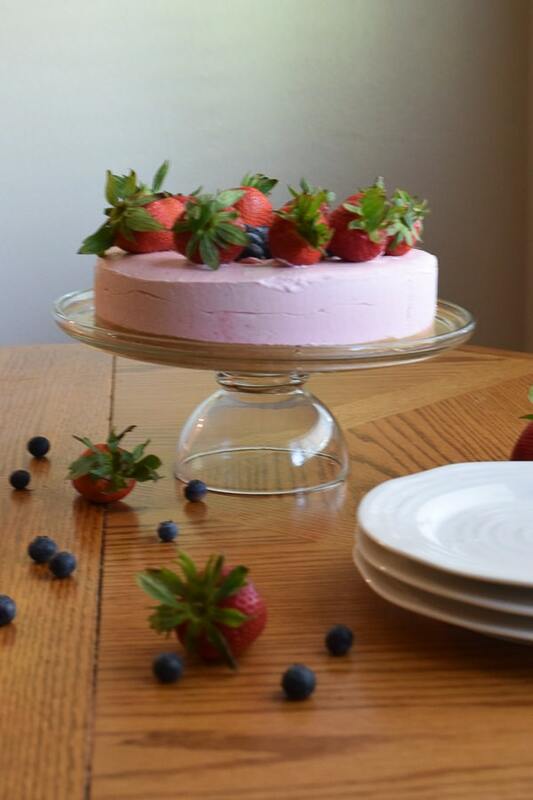 Plus, who doesn’t like a good strawberry cheesecake? 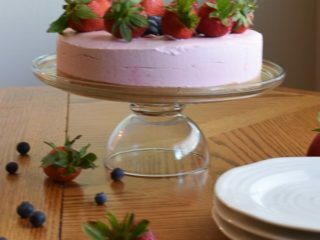 This no-bake strawberry cheesecake recipe is special because I made the crust out of NILLA Wafers. NILLA Wafers and Lemon NILLA Wafers are a great, quick, no-bake solution for the hot summer months. I made the cheesecake crust by blending up NILLA Wafers in my food processor until they were a fine crumb. Then, I blended in melted butter. I didn’t add any extra sugar to the strawberry cheesecake crust because the NILLA Wafers already have a nice sweetness to them. NILLA Wafers and Lemon NILLA Wafers are the perfect solutions for no-bake summer desserts. You can find many more no-bake dessert recipes on their website. You can purchase them at Walmart. I love making desserts for parties. Some of my other favorites are Peanut Butter Bars with Chocolate Frosting, Banana Chocolate Chip Cake, and Peach Cobbler. But if you are looking for the best no-bake dessert for your next party, then this no-bake strawberry cheesecake is the winner! Make a delicious no-bake strawberry cheesecake with just a few fresh ingredients and be ready for your next backyard BBQ or Sunday dinner. This no-bake cheesecake recipe is made with cream cheese, fresh strawberries, and heavy whipping cream. It truly is an easy recipe you can go back to again and again. Place NILLA wafers in the bowl of a food processor. Process until they are a fine crumb. Pour in melted butter and pulse until combined. Pour NILLA wafer crust into the bottom of the springform pan and press into the bottom evenly. Place hulled strawberries and granulated sugar into the bowl of the food processor. Process until smooth. Add the cream cheese and process again until fully combined. Pour in the heavy whipping cream and pulse until everything is blended together. Your strawberry cheesecake batter should be light pink and smooth. 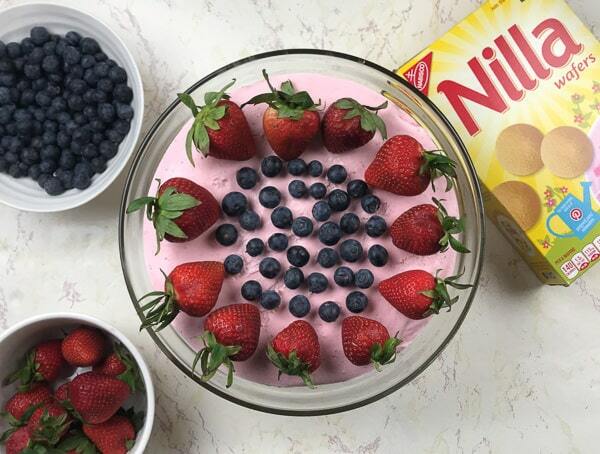 Pour the no-bake strawberry cheesecake batter into the NILLA wafer crust and smooth out the top with a rubber spatula. To Freeze: After chilling the no-bake strawberry cheesecake overnight, wrap tightly in plastic wrap and then foil. Freeze up to 2 months. Defrost overnight in the refrigerator. Do not freeze with toppings, simply top them once it is defrosted. 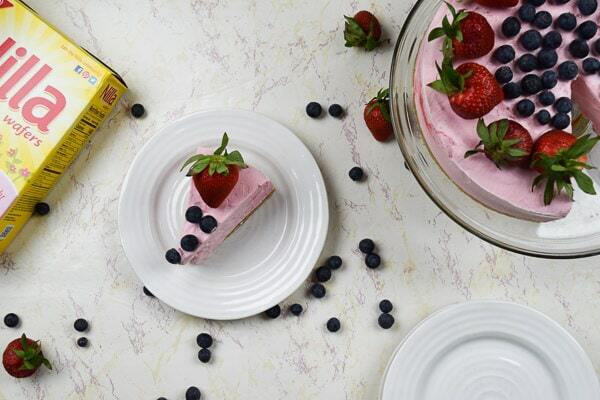 Did you try this recipe for no-bake strawberry cheesecake? 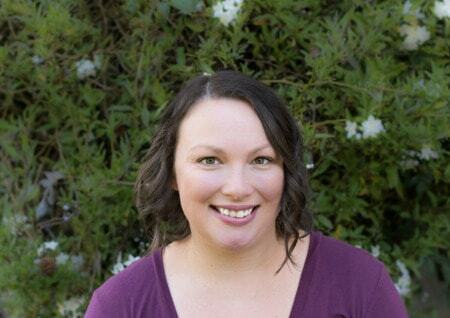 Let us know what you thought below with a rating and comment or tag us on social media using @aileencooks.